If your celebrating February 13, or Galentine’s Day, you’re going to need wine. 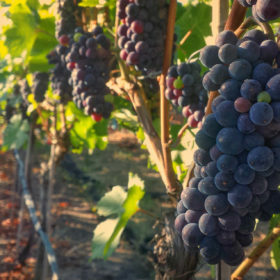 Here are our favorite Pinot Noir finds from California and Oregon. Originating from the hit television series Parks and Recreation, Galentine’s Day, or the day before Valentine’s Day, is when fictional character Leslie Knope unites her gal-pals over brunch in celebration of the amazing women in her life. Whether your celebration includes frittatas or not, good wine is a must (more tips on pairing wine with eggs here). 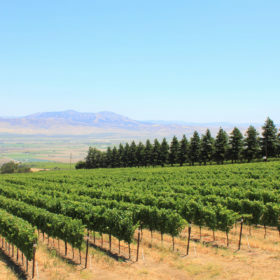 So, grab a bottle from California or Oregon, where Pinot Noir thrives on the U.S. West Coast. Leitmotif 2016 Duvarita Vineyard Pinot Noir (Santa Barbara County); $46, 95 points. This is a phenomenal start for the small-batch side project by Stephen Searle, whose main job is running Jaffurs Winery. Intense aromas of Bing cherry jelly, crushed rocks and dried sage show on the nose, while the palate combines wild berry and minty flavors with a strong chalky grip, proving both luxurious and refreshing. —M.K. Owen Roe 2016 Sojourner Vineyard Pinot Noir (Eola-Amity Hills); $42, 93 points. A lush and textured wine, this suggests strawberry compote and cherry pie in the nose, with ripe fruit flavors to follow. Threaded with sandalwood and graphite streaks, its balanced ripe tannins carry a finishing flicker of mocha. Editors’ Choice. —P.G. Failla 2016 Björnson Vineyard Pinot Noir (Eola-Amity Hills); $45, 93 points. Another in a series of single-vineyard offerings from Ehren Jordan, this shows earthy richness and brambly strawberry and raspberry fruit. It’s pretty and complex, with the sort of elegant density that promises further development over the next decade or longer. Editors’ Choice. —P.G. Cramoisi 2016 Sofia’s Block Pinot Noir (Dundee Hills); $62, 93 points. Drawing upon young vines planted in 2012, this all-Dijon clone wine shows amazing length and strength. Mixed berry fruit flavors are rich and juicy, while the overall balance is supple and refreshing. There’s a burst of spice as it trails in a finish elevated with flavors of blood orange. —P.G. Williams Selyem 2016 Ferrington Vineyard Pinot Noir (Anderson Valley); $65, 93 points. A deep color, gorgeous fruit aromas and mouthfilling richness make this full-bodied wine memorable. The aromas show everything from strawberry syrup to sour cherries to cinnamon, while the flavors are fully ripe without seeming fat or sweet. —J.G. MacPhail 2016 Toulouse Vineyard Pinot Noir (Anderson Valley); $55, 92 points. Full bodied and very plush in texture, this supersmooth wine starts with aromas of cooked cherries and plums, moves to richer, sweet-seeming strawberries and red cherries on the palate while it coats the tongue and sides of the mouth with an appealing, creamy texture. —J.G.